through our programmes we meet specific outcomes and produce a wide range of artistic content. All of our activities focus on creating collaborative and individual art which is then recorded and presented to our participatory groups both physically and digitally. Our belief is that everyone should have the right to creative freedom, so have designed our programmes to allow each individual to tailor their own unique experiences, by creating in their own way and working with the tools of their choice. We provide the opportunity to use issue based topics and social awareness as concept or themes for writing, but also give the option for people to express in their own way, where appropriate, allowing them to have their voices heard. Our main priority is safeguarding the people we work with, so follow strict policy and protocol when working, especially with protected or vulnerable groups. In some cases we do not have the appropriate permissions to release information about specific projects or work, and Therefor cannot always make public creative content or related info. The Community Orientated and Opportunity Learning (COOL) Music project, is a partnership between researchers at Glasgow Caledonian University and practitioners at Heavy Sound. The project engages groups of hard-to-reach young people, aged 12-18 years old, through sixteen sessions of non-formal participatory music-making. Here, young people learn how to utilize musical instruments, computer software packages, and audio-visual recording equipment, to build their own creative projects. Participants engage in one-to-one sessions with Heavy Sound tutors to write and record their own song, as well as taking part in group-based activities, which help build their confidence and enhance their wellbeing. By participating in the project, young people are able to use music to confront, explore, and overcome some of the social and emotional difficulties they are experiencing. We are aiming to understand the impact of the (COOL) Music project on the wellbeing and engagement of young people. While our partner organisation Heavy Sound is involved in delivering project sessions, our research provides a supportive role, collating data to understand more about how COOL Music changes the lives of young people. The research is being carried out by Dr Stephen Millar, Dr Artur Steiner and Dr Francesca Calo at the Yunus Centre for Social Business and Health, Glasgow Caledonian University. 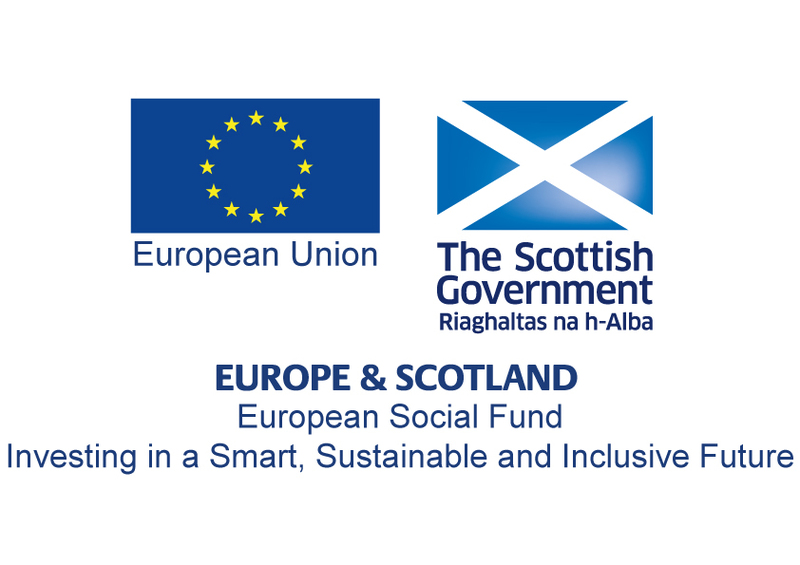 This project is being funded by the European Social Fund & Scottish Government. When the study ends, the data will be analysed and will be available to a range of people, including COOL Music managers, teachers, Scottish Government officials and researchers through written reports, presentations and journal publications. The research conducted during stage 2 of the COOL Music Project was peer reviewed and has been submitted to the British Journal of Music Education and is likely to be published next year. The research was also used to create a Scottish Government policy briefing which has been accepted by the Scottish Government and can be viewed below. The Heavy Sound & Fa’side area partnership community music project is a collaboration between Heavy Sound and East Lothian council. The Area Partnership in Fa’side supports the community and local organisations to deliver a range of beneficial and impactful projects, services and activities within the communities which make up Fa’side; Tranent, Ormiston, Macmerry, Pencaitland and Elphinstone). Delivered over 12-months, the project has included focussed work within Ross High School, where heavy Sound have created a Music Tech Hub and are tracking participants to National Qualification outcomes. The development of a Community Recording studio in tranent where focussed small group activities and 1-1 sessions take place offering access to high quality music-making, instrumental tuition and recording. Other work taking place through the project includes larger scale music-making activities with P7 pupils at one of our local primary schools as well as a partnership with Black Diamond Thai Boxing Club and the Community Wardens team to reach and engage a diverse group of young people from across the partnership area. This short introductory project was designed to engage S3 boys from 4 of the 6 county high schools considered disengaged or 'at-risk' of disengaging. The young people who participated on this course had a range of additional support needs and were able to come together to work as a group and meet new people, learning new skills through the use of technology, creative writing, art and collaborative learning. All music and lyrics were programmed, played, written and arranged by participants and recorded on site at the red school in Preston Pans. Champions board music project at LAMP HOUSE MUSIC. Heavy Sound were asked to deliver The Champions Board music project; a 1-week music masterclass project for care experienced young people which focussed on collaborative learning, building confidence, self-esteem, developing musical ability and nurturing talent. The project was delivered in partnership at Lamp House Music and was funded by Creative Scotland's youth music initiative. The music, songs and lyrics produced during the week were of top class quality and are a testament to the young people involved. Click the image to visit Soundcloud in a new tab and hear the album! Project supported by Creative Scotland's youth music initiative. Heavy sound & secure services music project - 'in the frame'. We delivered a music making programme within secure services for young people in 2016. The activities we delivered included music making/music production using a wide range of instruments, Creative writing in the form of spoken word, poetry, song composition and rapping as well as graphic design to create their own album and artwork. Young people were able to develop their music-making, as well as using expression as a positive outlet and tool for personal development through which they were able to build confidence and self-esteem, overcome significant barriers and address past trauma. As well as music making and creative arts, we produced a short film (supported by the Bank of Scotland school for social entrepreneurs programme, Scotland 2016/17), which captured elements of the project and allowed young people to experience the power of video.and gain knowledge and experience of using professional film making cameras and equipment. A short project for school leavers lacking positive destination which focussed on building confidence and self esteem as well as developing new skills and confronting barriers. Participants were able to develop new transferrable skills through engagement and gained valuable experiences which lead prepared them for new opportunities, further education and work experience. Full project info and media unavailable due to confidentiality. Scotland's national Environment Web Youth Discussion awards event, Click to enlarge. We delivered an interactive hip hop and music making workshop for over 60 young people from across the country who were invited to attend Scotland's national Environment Web Youth Discussion awards. The event was held at dynamic earth in Edinburgh, in partnership with young Scot and SEPA (Scottish environmental protection agency). All of the activities were focussed on environmental themes and young people participated in music production, live sound, lyric writing and graffiti art, helping to create the song lyrics below as part of the workshop. So spread the word and build a chain of productivity! Against a sky thats scarred with soot! We’ve made a start, now if only others could accept the truth! the biggest natural disaster this planet has ever known! Whats it gonna take to see that we’re destroying our home? While so many eye’s remain blinded by the ash and the dust! Stand together, take your place in our dynamic earth, Let’s stand together. Stand together, take your place in our dynamic earth. Let’s Stand together! As part of an expressive writing project, pupils from the Wellington residential School engaged in creating lyrics and poetry to help them express thoughts and feelings as an alternative approach to learning and expression. The pupils who participated were encouraged to write, in some cases for the first time. These recordings showcase the material of four participating pupils who agreed to share their work with others. Please visit our testimonials page to view feedback for our services.